Let’s get real: Sales is freaking hard! It takes a lot to be a great salesperson, but most people don’t understand that. In fact, sales is probably one of the most misunderstood jobs. But we get it. We understand the pain and the hustle and we want you to know something: You are not alone, my friend. There are so many salespeople out there who deal with the same challenges and we want you to get to know their stories. That’s why we joined forces with Jim Keenan, the creator of A Sales Guy, to bring you The Real Deal of Sales, a brand-new video show featuring real sales stories from real salespeople. Subscribe here to get a notification every time we release a new episode. The Real Deal of Sales is all about keeping it real. So the host of the show had to be someone who loves to ask difficult questions and who’s not afraid to call out the elephant in the room. Some mad energy and a bold, but friendly style were also welcomed. Given the requirements, the role fit Keenan like a glove (to say the least). If this is the first time you’ve heard about him, here’s a proper introduction. 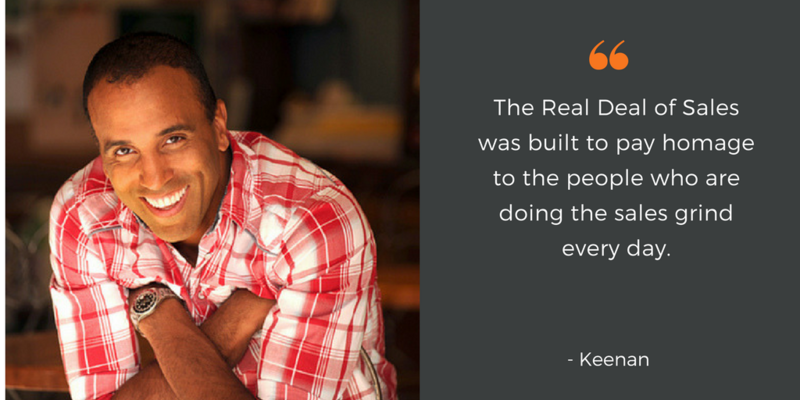 Keenan’s been “selling something to someone for his entire life” so he knows first-hand what’s it like “in the real world.” More importantly, he has been influencing, learning from and shaping the world of sales for a long, long time. 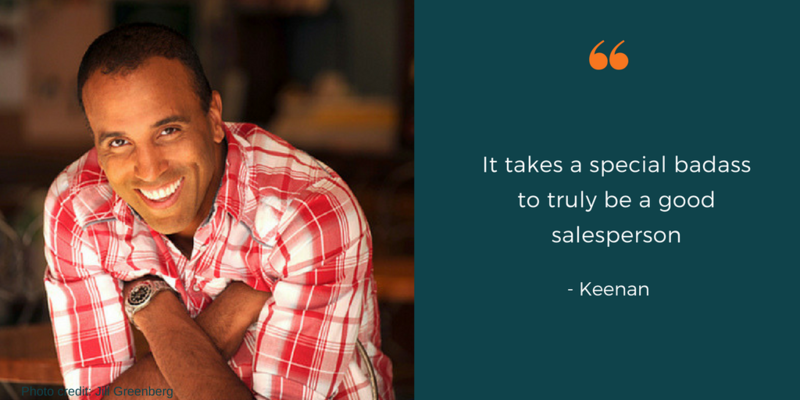 There aren’t many people in the world who are as passionate about sales and salespeople as Keenan. You get it why we’re very pumped to have him as the host of our show. The Real Deal of Sales is for everyone who hustles every day, trying to crush their numbers and hit their quota. Whether you’re new to the sales profession or you’ve been here for some time — there’s something for everybody. Keenan will be interviewing salespeople of all types, from BDRs to VPs of Sales, giving everyone a voice. Which brings me to the best part. What topics will they cover? Check out the first episode: What is the Hardest Part of Sales? Each episode will cover a different topic, but one thing will stay the same: Keenan will be keeping it real. His straightforward interviews will help you see what it really takes to be a great salesperson. His job is to dig out their stories and share them with you, every week. Want to share your thoughts or ask Keenan a question? Tweet him at #TheRealDealofSales!